Remove the air cleaner housing. Refer to Air Cleaner Assembly Replacement. Support the engine with a suitable jack. Remove the engine mount. Refer to Engine Mount Replacement. Raise engine to access the bolts. Loosen the 3 water pump pulley bolts (1). Counterhold against crankshaft balancer bolt. Remove the drive belt. Refer to Drive Belt Replacement. Remove the 3 water pump pulley bolts (1). 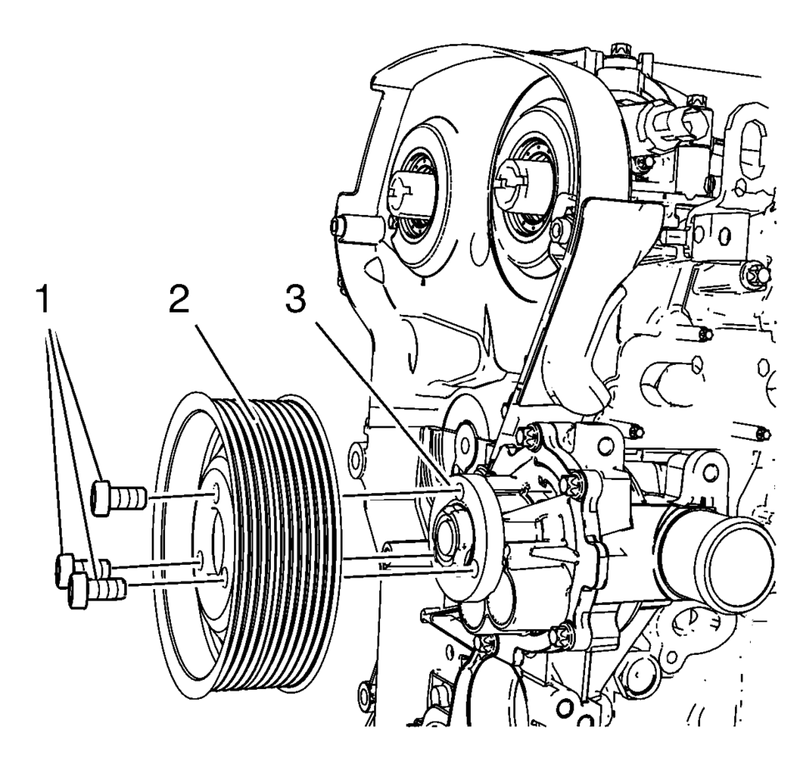 Remove the water pump pulley (2) from the water pump (3). Install the 3 water pump pulley bolts (1). Install the drive belt. Refer to Drive Belt Replacement. Install the engine mount. Refer to Engine Mount Replacement. Install the air cleaner housing. Refer to Air Cleaner Assembly Replacement.